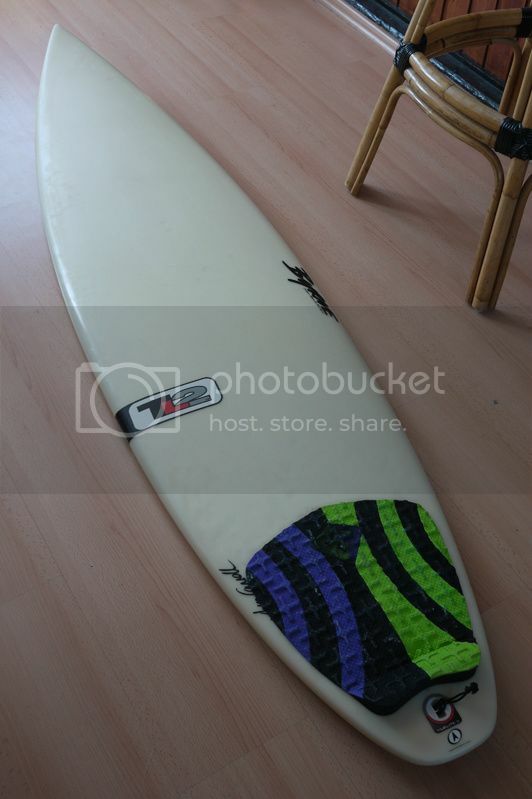 Verkaufe hier ein 6.1er Phil Byrne Tom Carroll Modell in Tuflite2/ TL2 (Epoxy).. Die genauen Maße sind: 6’1” x 18’1/8” x 2’1/4”. Ist ein schnelles und wendiges Performance-Shortboard, das wohl besser für schon fortgeschrittene Surfer geeignet ist. Das Brett kann sowohl als Quad als auch als Thruster gefahren werden! Die TL2s sollen allerdings nochma bischen mehr flex erlauben als die normalen Tuflites..
Zustand ist sehr gut- ein paar pressuredings aufm deck, ein klitzekleines, repariertes ding unten, sonst allerdings komplett unversehrt! Dachte so an 300 Euro. Das Brett kann gerne in Köln (Ehrenfeld) besichtigt werden! Wenn ihr Interesse oder noch Fragen habt, schreibt einfach! 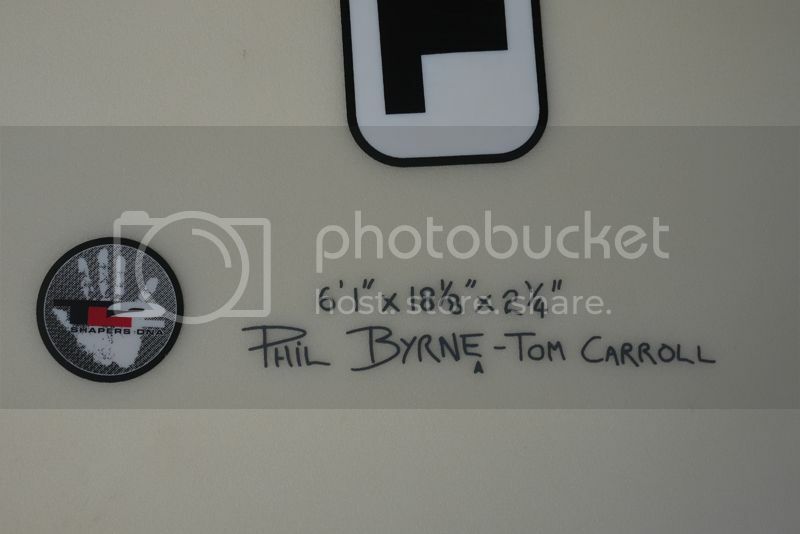 Byrne 0601 TC 4 1 TL2 – This is the most current design that Tom Carroll has been working on with Phil. It features a light concave bottom flowing through to a rounded tail. The rail is round with a slight tucked edge going to square and hard edge in the tail. This board also features a 4 fin plus thruster fin combination that allows the board to be ridden as a 4 fin or a thruster depending on conditions or personal preference. This is a top level performing board and will suit most advanced surfers up to 155lbs. Preisupdate für Euch: 260 Euro!